The Financial Accounting Standards Board has released a proposed Accounting Standards Update that would harmonize, with certain exceptions, accounting for share-based payments to non-employees, with the accounting for share-based payments to employees. Requests to simplify the accounting for share-based payments to non-employees — given in exchange for goods and services — by bringing it closer to accounting for share-based payments to employees contained in FASB Codification Section 718 emanated from the post-implementation review of FAS 123R on Share-Based Payments, as well as requests from advisory groups, including the FASB’s Private Company Council. stipulate that share-based payments to non-employees within the scope of Topic 718 would need to be for goods or services purchased by the grantor for use or consumption in its own operations and not effectively issued to raise capital. Measurement objective: Non-employee share-based payment transactions are measured at the fair value of the consideration received or the fair value of the equity instruments issued, whichever can be more reliably measured. Non-employee share-based payment transactions within the scope of Topic 718 would be measured by estimating the fair value of the equity instruments that an organization is obligated to issue when the good has been delivered or the service has been rendered and any other conditions necessary to earn the right to benefit from the instruments have been satisfied. Measurement date: The measurement date for equity classified non-employee share-based payment awards is the earlier of the date at which (1) a commitment for performance by the counterparty is reached, or (2) the counterparty’s performance is complete. Equity-classified non-employee share-based payment awards would be measured at the grant date. The definition of grant date would be amended to generally state the date at which a grantor and a grantee reach a mutual understanding of the key terms and conditions of a share-based payment award. Awards with performance conditions: Non-employee share-based payment awards with performance conditions are measured at the lowest aggregate fair value. Consistent with the accounting for employee share-based payment transactions, an organization would consider the probability of satisfying performance conditions when non-employee share-based payment awards contain such conditions. Classification reassessment of certain equity classified awards: The classification of equity-classified non-employee share-based payment awards is subject to other GAAP (for example, Topic 815, Derivatives and Hedging) once the good has been delivered or the service has been rendered and any other conditions necessary to earn the right to benefit from the instruments have been satisfied. Generally, the classification of equity-classified non-employee share-based payment awards would continue to be subject to the requirements of Topic 718 unless modified after the good has been delivered, the service has been rendered, any other conditions necessary to earn the right to benefit from the instruments have been satisfied, and the nonemployee is no longer providing goods or services. Practical expedient — calculated value: Inputs to the valuation of equity share options and similar instruments issued to non-employees include an estimate of the expected volatility. 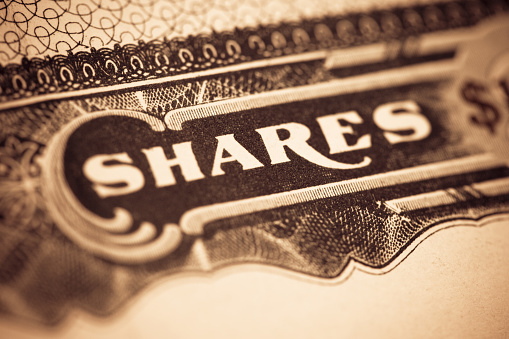 A private company could substitute calculated values for expected volatilities as inputs to the valuation of share options and similar instruments issued to nonemployees if it is not practicable for the private company to estimate the expected volatility of its share price. Intrinsic value: Organizations are required to measure liability-classified non-employee share-based payment awards at fair value. A private company could make a one-time election to switch from measuring liability-classified non-employee share-based payment awards at fair value to intrinsic value. If intrinsic value is elected for liability-classified awards, such awards would be subject to remeasurement until exercise. The FASB has not specified a proposed effective date in this proposed ASU, but rather seeks input from stakeholders, including their thoughts on what an appropriate effective date would be. Potential interaction with the effective date of the new standard on revenue recognition could be considered. The FASB’s proposed method for entities to transition to the new standard would be a cumulative-effect adjustment to retained earnings as of the beginning of the annual period of adoption. However, a non-public entity that substitutes calculated value for expected volatility when measuring share-based payment awards would apply the proposed amendments prospectively to all awards that are measured at fair value after the effective date. The proposed amendments would be applied to only outstanding awards. Disclosures required at transition would include the nature of and reason for the change in accounting principle and, if applicable, quantitative information about the cumulative effect of the change on retained earnings or other components of equity. Learn more from the MACPA’s and The Business Learning Institute’s courses covering FASB developments. Search for the term “FASB” in our online CPE catalogue of live events, webcasts, and on-demand courses. And it may still be busy season, but it’s not too soon to think about attending the MACPA’s Beach Retreat, featuring courses like the Accounting and Auditing Update. This year’s Beach Retreat will take place from June 28-30 at the Clarion Resort Fontainebleau Hotel in Ocean City.